Mr. Coddington has been involved in several successful business ventures in which he held various key management positions. Mr. Coddington was the President and Co-Founder of Midwest Communications Technologies Inc. in Columbus Ohio which was acquired by a public company, Black Box Network Services, in 1998. He also co-founded Pipeline Restoration Technologies, /dba ACE DuraFlo, in August 2004 which is one of our lines of business under our current brand Florida Pipe-Lining Solutions, LLC. Mr. Coddington’s current responsibilities include Corporate Development with special emphasis on business planning, customer service, and employee relations and mentoring. Randy Hromyak, with over 22 years of business experience in a variety of industries, has a history of achieving successful results working with large corporations. Randy’s ability to fine tune processes in the areas of sales/marketing, customer service, product improvement, employee safety, and management accountability, has allowed these organizations to achieve optimal performance levels. 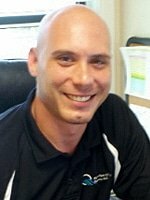 Randy oversees all aspects of the operations within Florida Pipe-Lining Solutions in a team based work atmosphere. 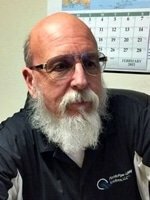 With over 44 years of experience in the plumbing trade in the United States and Europe, David Baker, Master Plumber & Company Qualifier, has built a personal database of knowledge and has earned the respect of fellow tradesman and clients alike. 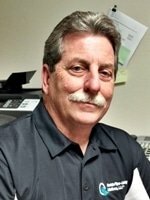 He has been involved in trenchless technology since 1995 conducting investigative services and non-destructive repairs. David is an Air Force Veteran, a Civil Engineer and a past President of the Underground Utility and Leak Locators Assoc. He has been a spokesperson and trainer for The Reinforced Concrete Pipe Industry (Florida). He published an article in the Underground Focus Magazine on Soft Dig. He volunteers as a Teacher at Tampa Bay Vo-Tech teaching Journeyman classes in repair. David is the driving force in the FPS Operations Team and is the man to get the job done. 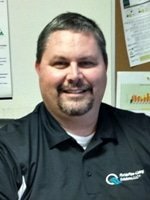 Mike Larson has grown up from the ranks over the years to become Florida Pipe-Lining Solutions Water Division Manager overseeing 10 Technicians in the field. Mike has been a hands-on Project Supervisor on a variety of pipe restoration projects such as Urban Style Flats [Apartments] in St. Petersburg, Courtyard Marriott [Hotel] near Ft. Lauderdale, and Winter Park Towers [Convalescence] in Winter Park – to name a few. Mike is the man who makes sure that the men, material & equipment arrive on time and that the project gets completed. Caleb Goodwin came to us in 2007 as an apprentice plumber in the New Construction Field. Caleb quickly became one of our Lead Technicians for the Ace Duraflo Epipe(R) System. 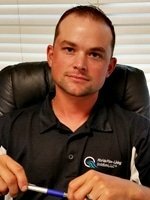 Caleb, now a Master Plumber, is Florida Pipe-Lining Solutions’ Drain Division Manager overseeing 10 Technicians in the field. 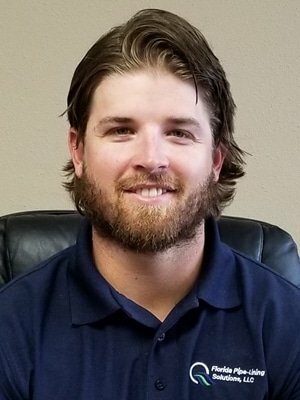 Caleb has taken the Lead overseeing the largest CIPP Projects in the company’s history with work at Majestic Mobile Home Park and Golf Lake Estates MHP. From CCTV inspections, Hydro-Jet Cleaning, and Large Diameter CIPP Inversions, Caleb is the go to specialist. With a background in construction, management, and sales in the Printing Industry, and the last 12 years in Pipe Restoration, Patrick Dunifon brings a unique skill set to Florida Pipe-Lining Solutions. 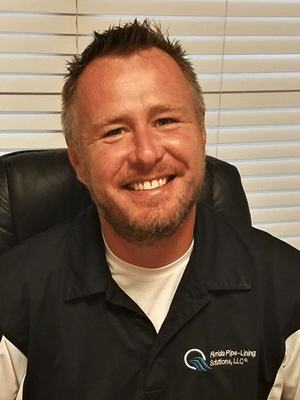 From his mechanical knowledge to his marketing savy, Patrick has a keen understanding of pipe restoration services for commercial and residential customers in our market. He stays focused on bringing the best service and value to our customers while continuing to keep Florida Pipe-Lining Solutions at the forefront of our industry.